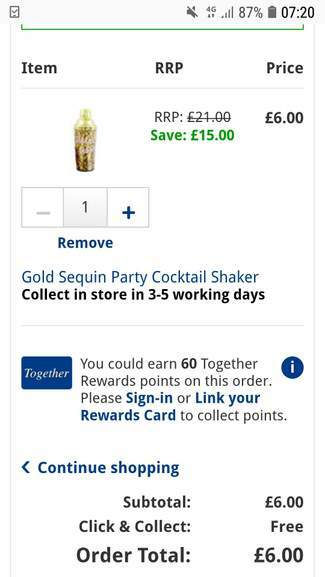 Shake up some new cocktail flavours or stick to an all time classic fav with this gorgeous Gold Sequin Party Cocktail Shaker. The perfect accessory to a glamorous night of fun and cocktails - this beautiful cocktail shaker is a must-have for anyone who loves a well-made drink. •	Message: Shake it Baby!